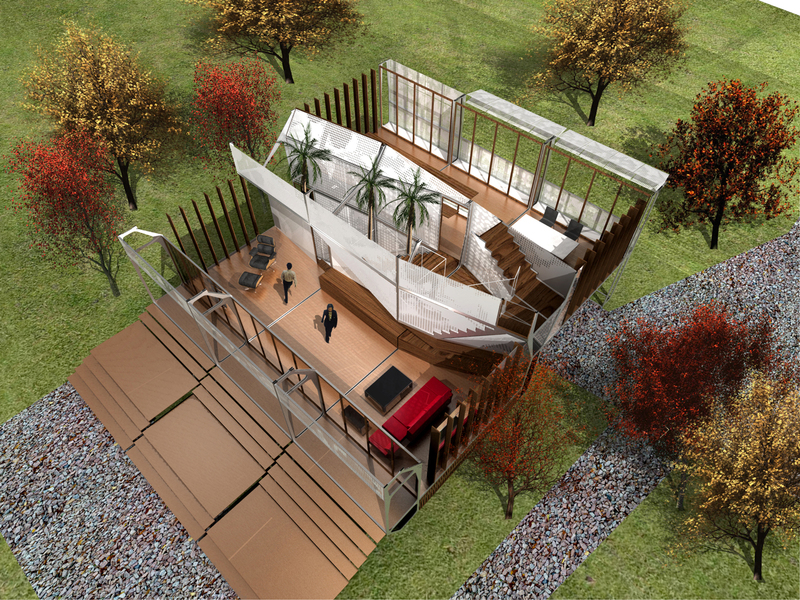 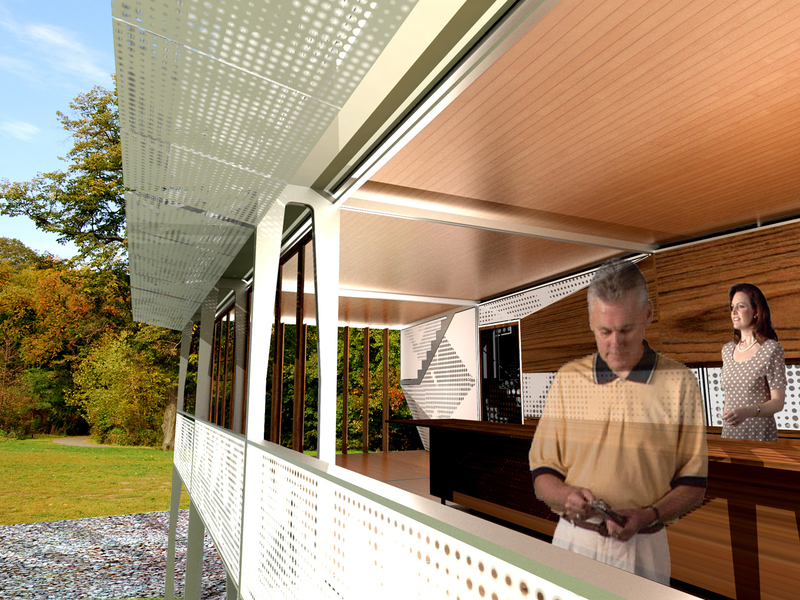 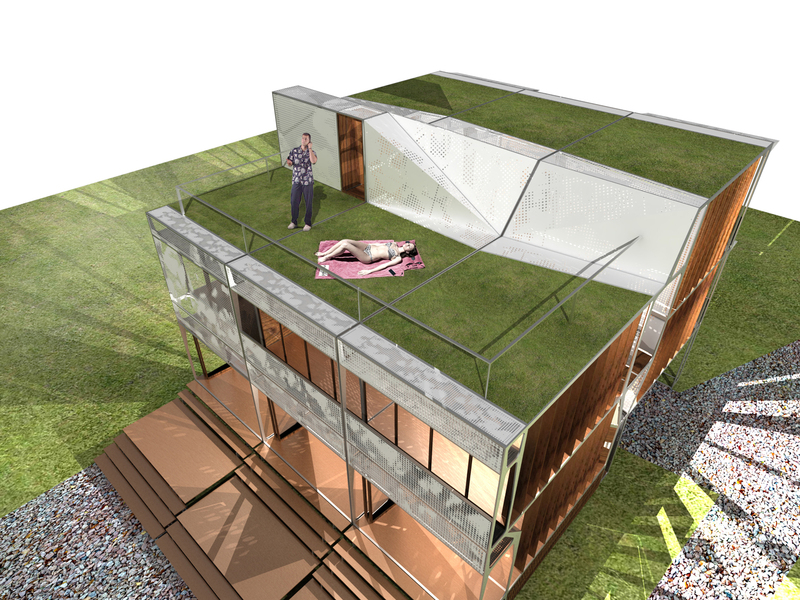 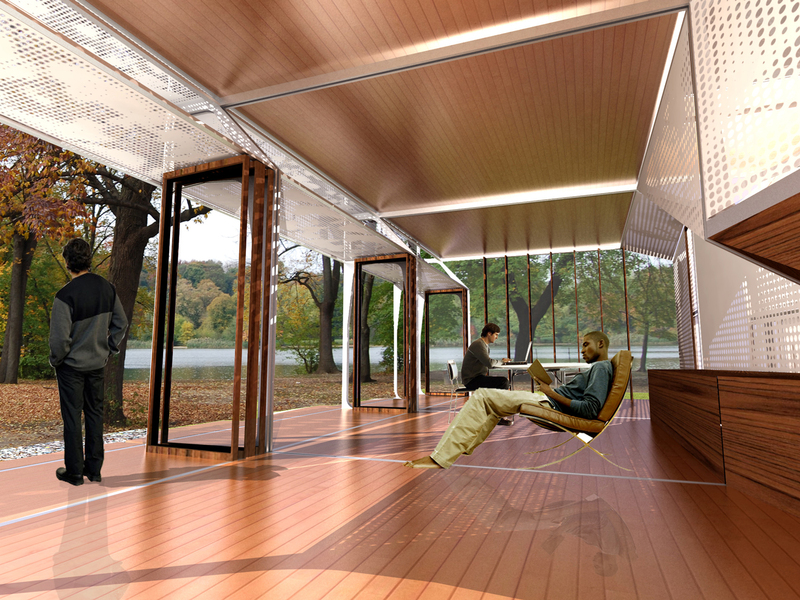 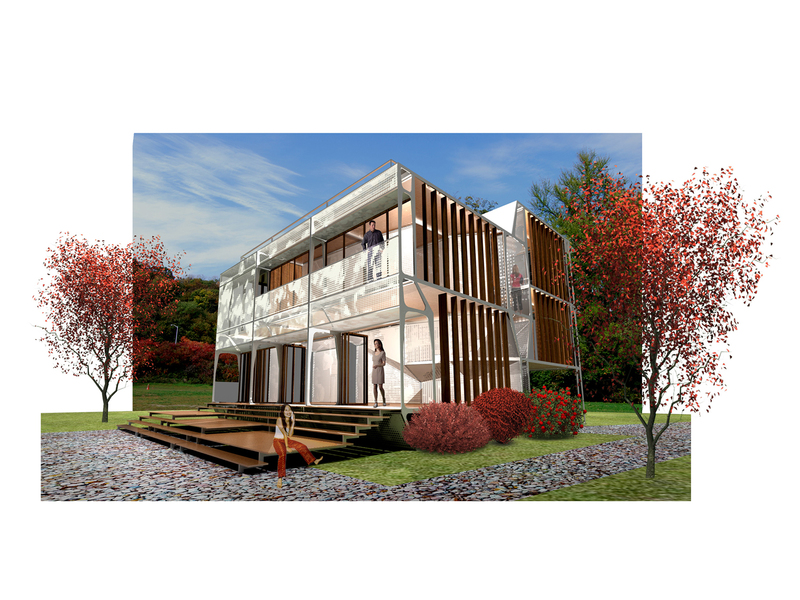 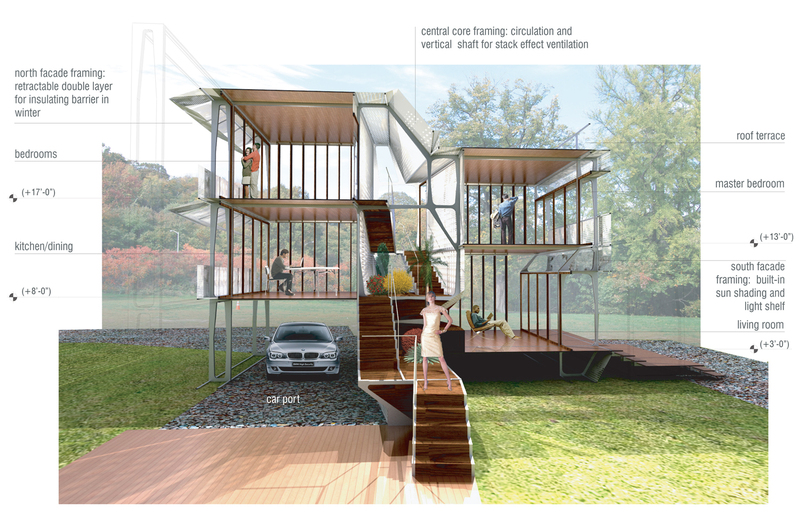 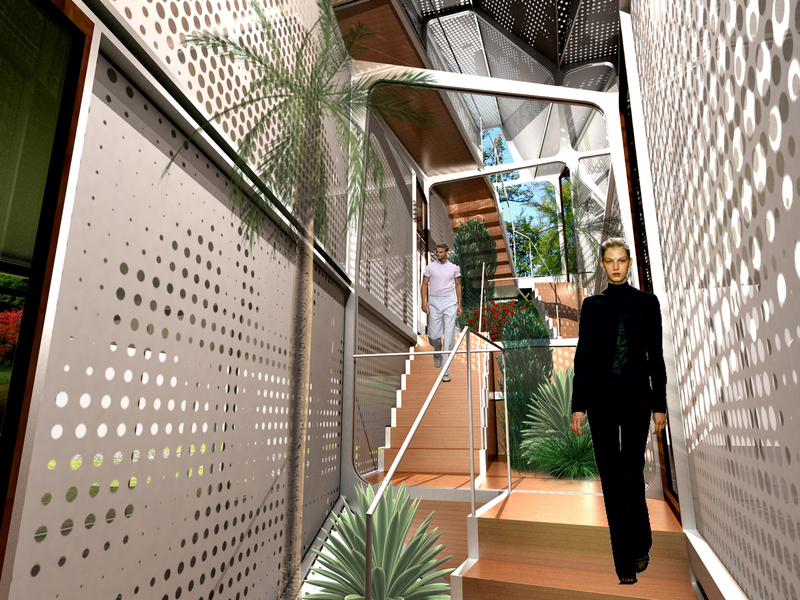 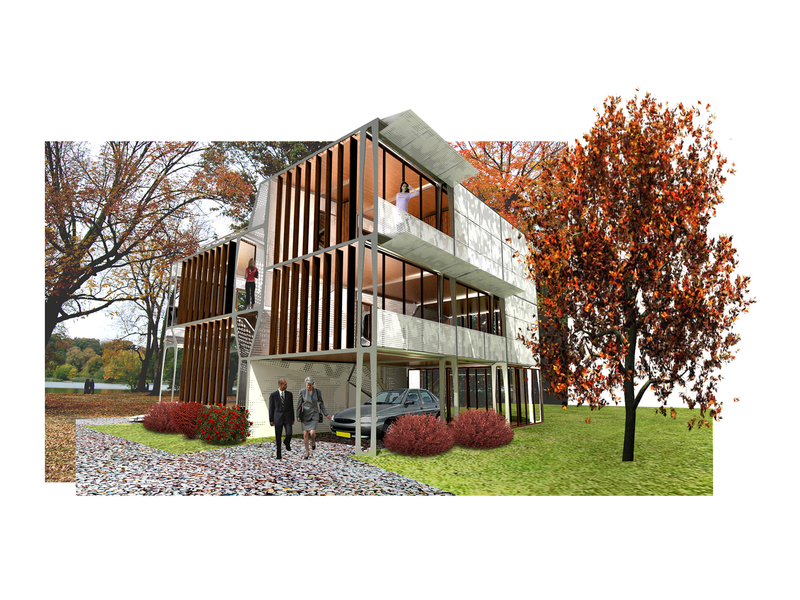 OPerA House (Operative house) is a concept for creating prefabricated dwellings that break the typical shipping container sized box of the prefab unit. 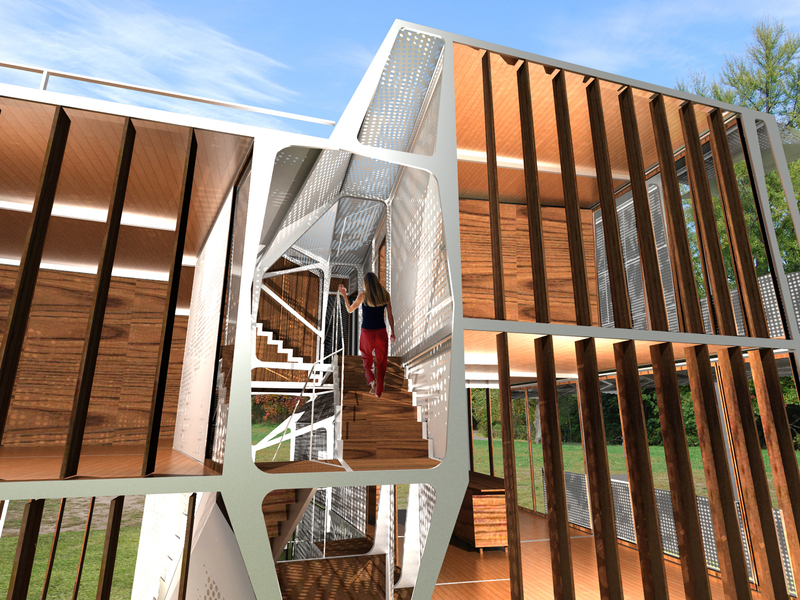 The unit of fabrication is a tilt-up wall – a methodology borrowed from balloon and platform framing – with each wall given a thickness so that it acts as a vertical truss. 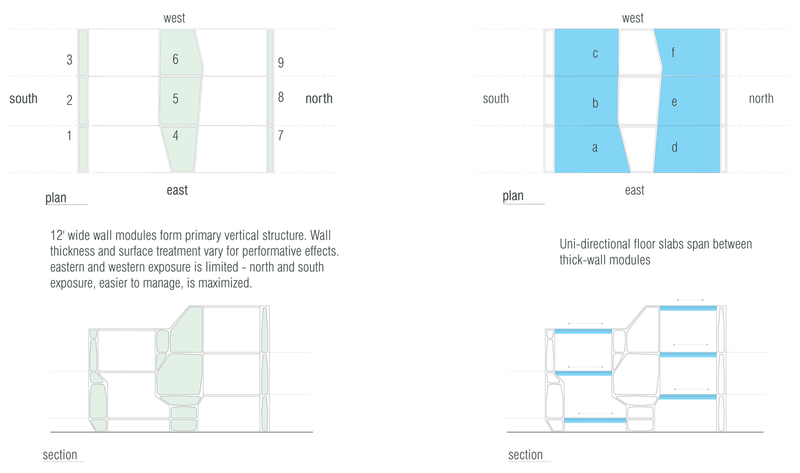 The thickness and function of the walls vary based on their location: north, south or center. 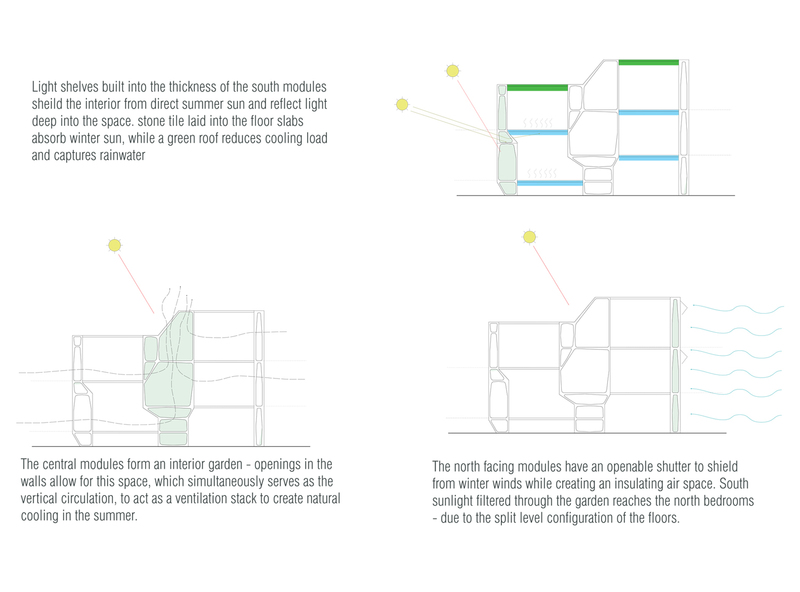 North walls have a shutter system to protect from north winds; south walls have a built in sun shade and light shelf; the center walls are occupiable and feature a garden atrium with all of the vertical circulation and building services integrated. 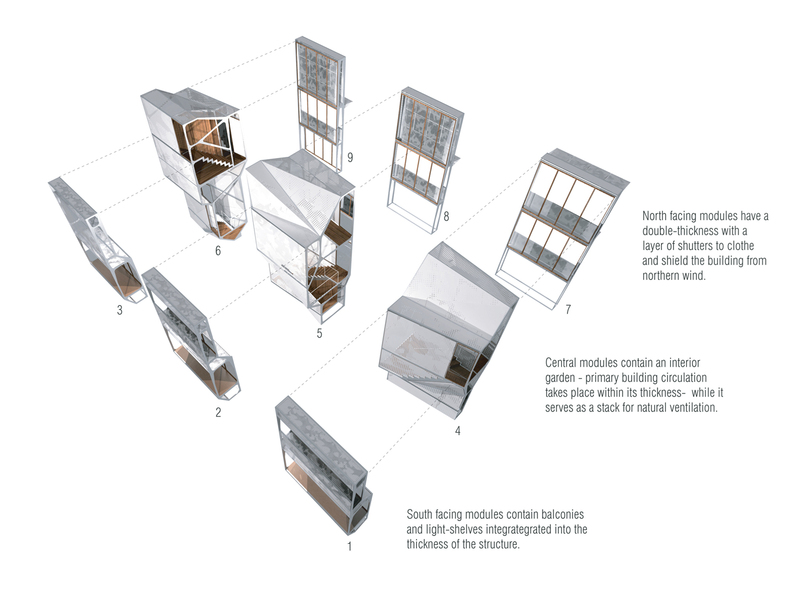 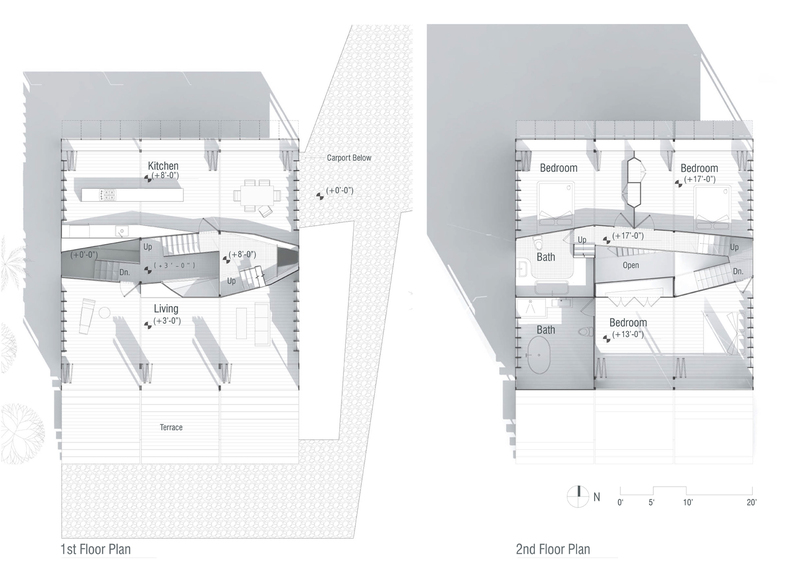 The atrium works as a vertical stack to provide natural ventilation. 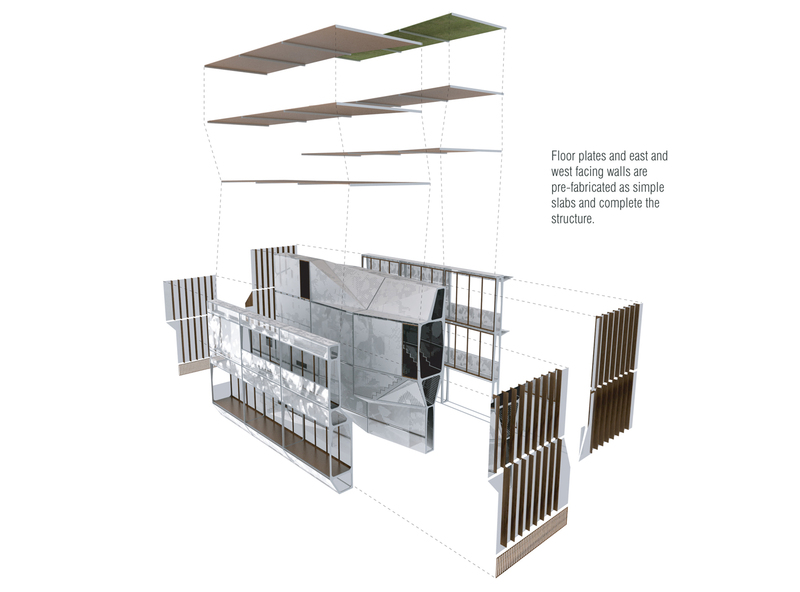 The floor slabs and east and west walls are simple prefabricated spans that lock into place after the walls are erected.